Nokia, Lacoste, Johnson & Johnson and Serco are among the corporate event planners attending Visit Brighton's first Brighton Unconventional weekend in September. The event will be held from 24-26 September and is set to attract 50 buyers from across the association, corporate and event sectors. It will include a welcome reception at The Lighthouse, complimentary accommodation for all guests and their partners and optional site visits arranged at the city’s conference partner venues. 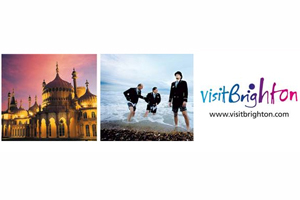 Visit Brighton convention bureau sales manager Darren Johnson said: "With Brighton Unconventional we wanted to provide event organisers the chance to discover everything the city has to offer to businesses without the hard sell."